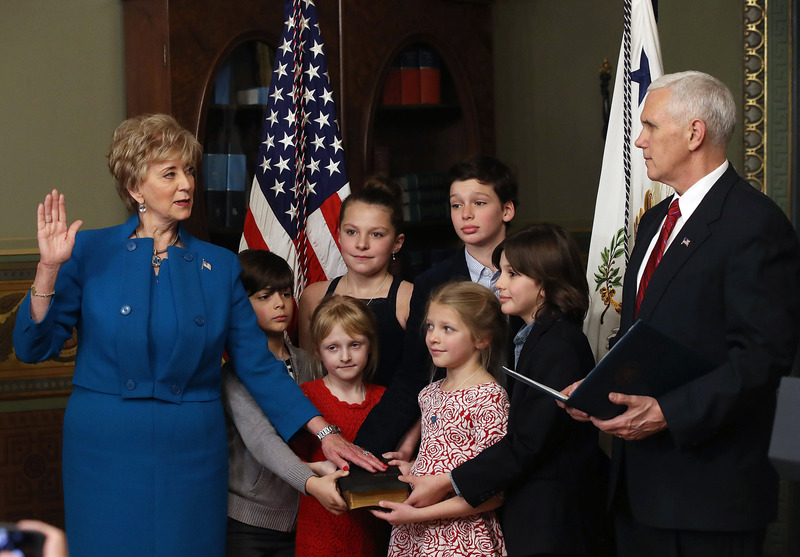 White House official Linda McMahon announced on Friday that she will be resigning from her role as the head of the Small Business Administration. McMahon is one of the original members of Trump’s cabinet, serving as the head of the Small Business Administration since she was confirmed in Feb. 2017. She is also one of the five female cabinet members in Trump’s administration. The former Republican Senate candidate is expected to return to the private sector following her resignation, however, it is not clear in what capacity, according to Politico. McMahon has a lengthy tenure as a professional wrestling executive, helping to launch the organization that would ultimately become World Wrestling Entertainment (WWE). Senate Judiciary Committee Chairman Lindsey Graham also commented on McMahon’s departure, expressing his disappointment and praising her work. I am disappointed to hear that Linda McMahon will be leaving the Small Business Administration. She did a terrific job for President Trump and small businesses all over the country. She has much to be proud of and will be missed. “She has much to be proud of and will be missed,” Graham added.